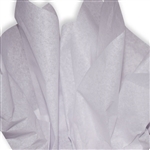 Lavender Colored Tissue Paper 20" x 30" sheet size. 480 sheets per ream. Lilac Lavender Colored Tissue Paper 20" x 30" sheet size. 480 sheets per ream. Periwinkle Colored Tissue Paper 20" x 30" sheet size. 480 sheets per ream. Purple Colored Tissue Paper 20" x 30" sheet size. 480 sheets per ream. Zippy Grape Purple Colored Tissue Paper 20" x 30" sheet size. 480 sheets per ream.